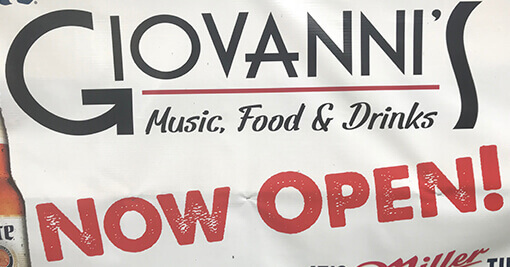 Giovanni’s Music, Food & Drinks is conveniently located on US Highway 18 near Cambridge, Wisconsin. 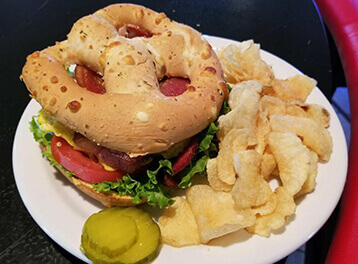 Giovanni’s offers home delivery to the Cambridge, Deerfield, London, Rockdale, and limited Lake Mills areas daily from 11am to 930pm. Minimum purchase of $25.00 required. Delivery charge is $3.00. Giovanni’s offers a pleasurable dining experience with a rich supper club feeling and history. 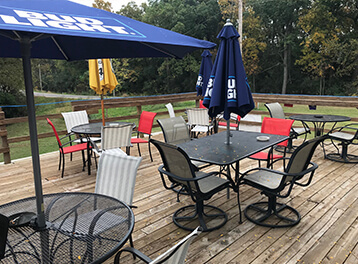 We offer outdoor seating on our deck, a pool table, dart boards, and a huge bar area with 5 flat screen televisions where you can catch Packer, Badger, and Brewer games. 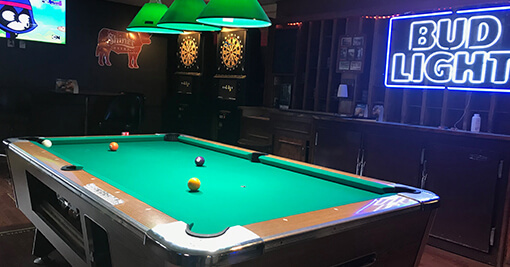 Reservations for Prime time dining is appreciated..
We have free pool on Thursdays. 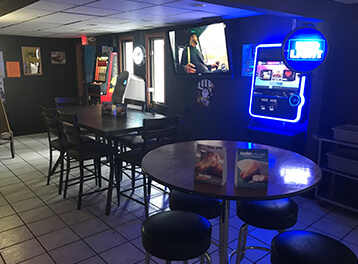 During Green Bay Packer and Wisconsin Badger games, we offer drink specials and play our own Giovanni’s football pass contest where some lucky customers win a free drink or appetizer with every Packer or Badger touchdown. Giovanni’s has a large full-service bar that offers a fine selection of tap beers, old fashioned cocktails, and mixed drinks. We have a wide range of Wisconsin and national beers. Most people will remember our building as Judd’s Supper Club, or more recently, Cardinal Ridge. Giovanni’s Music, Food & Drinks sits on 3 beautiful acres and has a deep valley in which local wildlife love to visit. Deer, turkey, and many different bird species love to stop by. For dining entertainment, we offer live music on some weekends. For your convenience, Giovanni’s accepts cash, Visa, MasterCard, Discover, and American Express.